No need to go back to SAP Hybris Cloud for Customer server-side integration and update Exchange password as soon as password change is made. Exchange connectivity is established and monitored by Administrator, removing that burden from end users. See below for detailed information about each step. Microsoft Exchange Server 2010/2013 uses Role-Based Access Control (RBAC) to assign permissions to accounts. 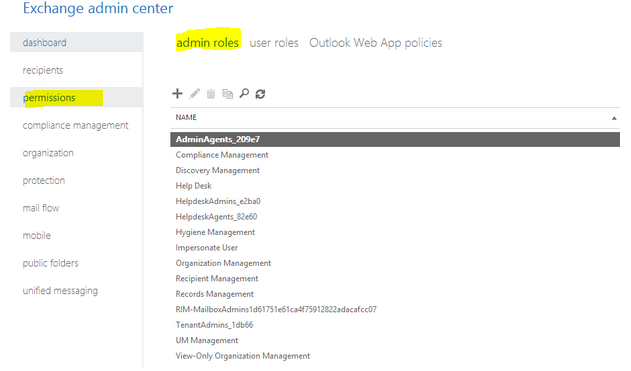 You can use the New-ManagementRoleAssignment Exchange Management Shell cmdlet to assign the ApplicationImpersonation role to users in the organization. 1) Name – The friendly name of the role assignment. Each time you assign a role, an entry is made in the RBAC roles list. You can verify role assignments by using the Get-ManagementRoleAssignment cmdlet. 2) Role – The RBAC role to assign. 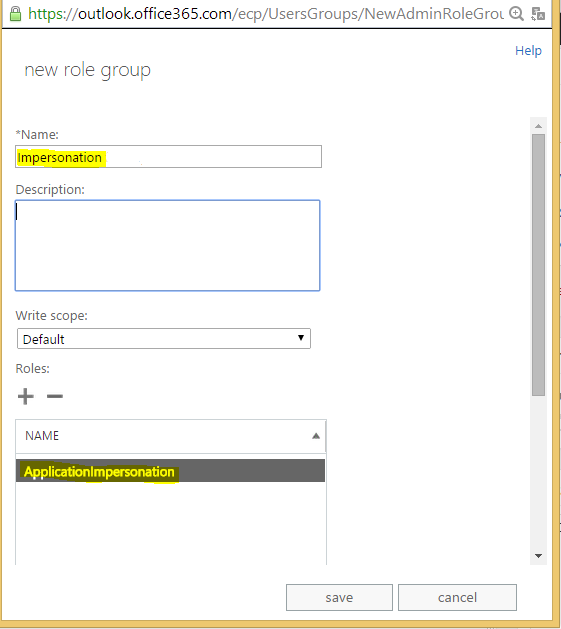 When you set up Exchange Impersonation, you assign the ApplicationImpersonation role. 3) User – The impersonating identity. 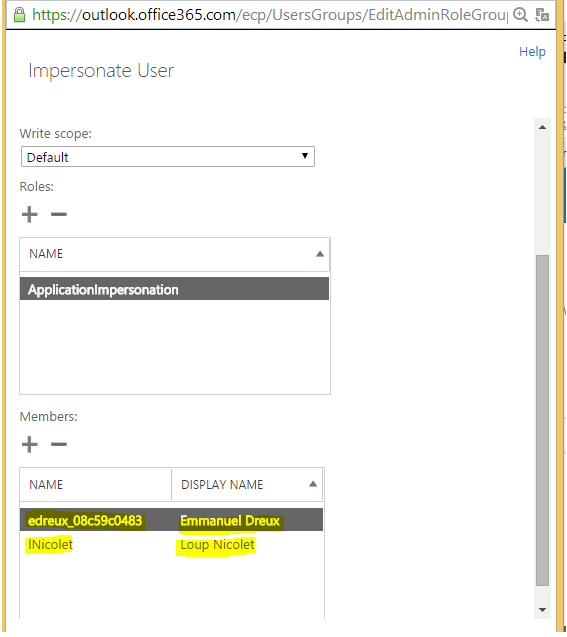 4) CustomRecipientScope – The scope of users that the impersonating user can impersonate. The impersonating user will only be allowed to impersonate other users within a specified scope. If no scope is specified, the user is granted the ApplicationImpersonation role over all users in an organization. You can create custom management scopes using the New-ManagementScope cmdlet. Administrative credentials for the computer that is running Exchange 2010/2013 that has the Client Access server role installed. The RecipientRestrictionFilter parameter of the New-ManagementScope cmdlet defines the members of the scope. You can use properties of the Identity object to create the filter. 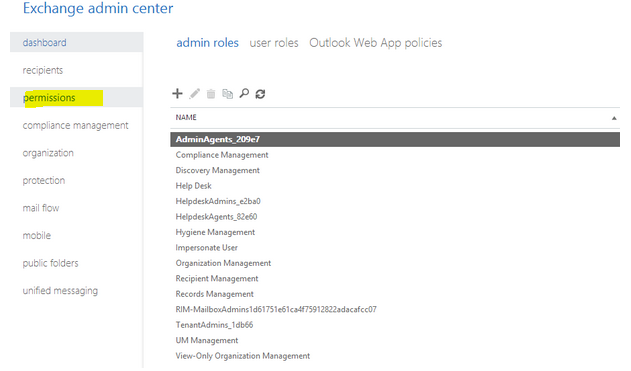 Login to the Office 365(or Exchange 2013) Exchange Admin Center. Select “Permissions” from the navigation tree. Click the “+” Icon to add a new role. In the role group dialog box Provide a name for your Role Group (i.e. “Impersonation”). Under Role click the “+” icon to add a Role. Select “Application Impersonation”, click “add” and then click OK. Under Members click the “+” icon to add a new member to the RoleGroup. Select your admin account that will have impersonation rights, click “add”, and then click OK.
f) Click “Use Exchange Impersonation” and provide email address of impersonated user you are testing. g) If needed, check “Ignore Trust for SSL“. If your company uses different Microsoft Exchange deployments, you might need to create several SAP Hybris Cloud for Customer server-side integration Organizations for each group of users residing on specific server. 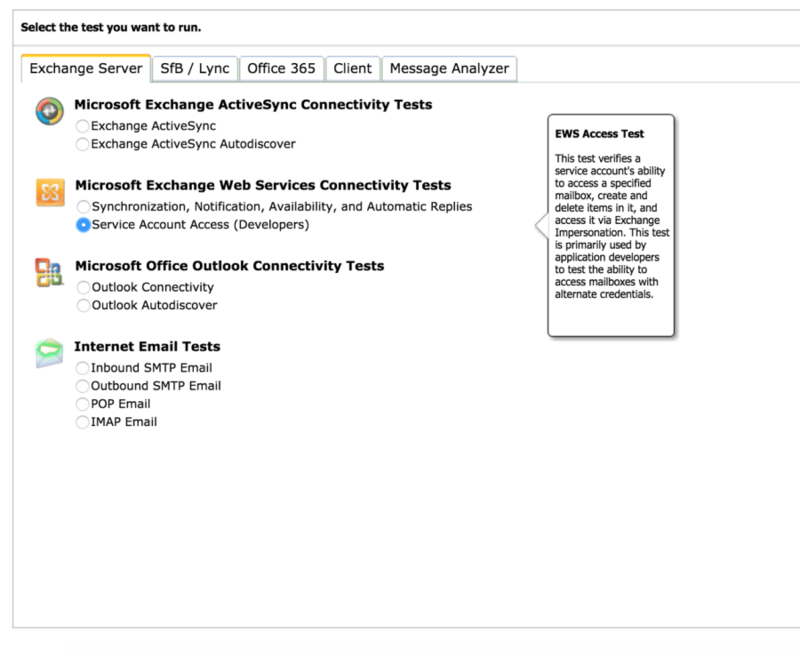 Enter service account credentials and test that SAP Hybris Cloud for Customer server-side integration can connect to your Exchange server using these credentials. Let users know that they can start using SAP Hybris Cloud for Customer server-side integration right away.